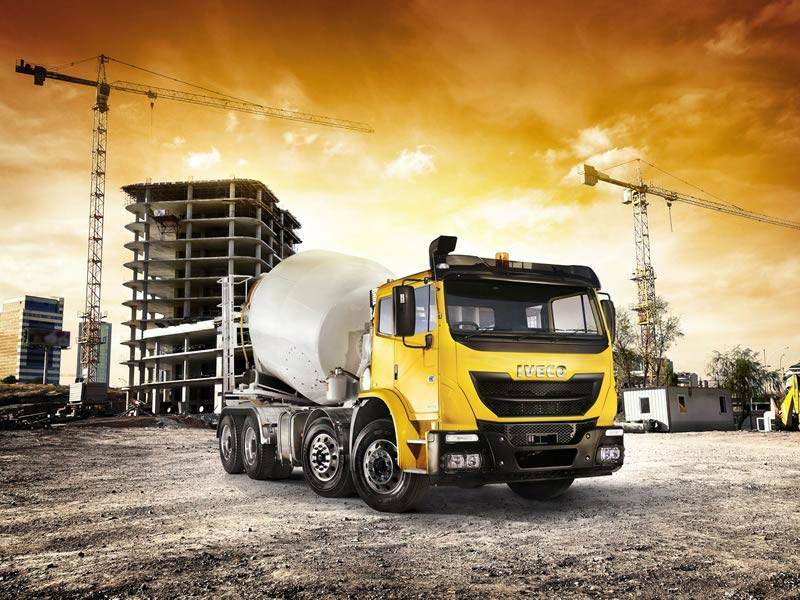 GVM ranging from 16.5 tonnes to 30 tonnes. 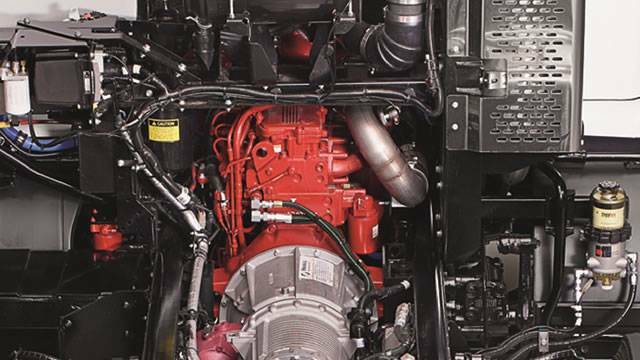 Powering the ACCO is the versatile and highly-regarded Cummins ISL 8.9 litre 6 cylinder turbocharged engine, fitted with Selective Catalytic Reduction (SCR) technology which reduces engine emissions to comply with the current ADR 80/03 or Euro 5 emissions requirements. As an added benefit, parts and servicing outlets for the Cummins engine are widely available across Australia. And with up to 1105 lb/ft of torque available, from low in the rev range the ACCO has the hefty pulling power to suit a wide array of applications. 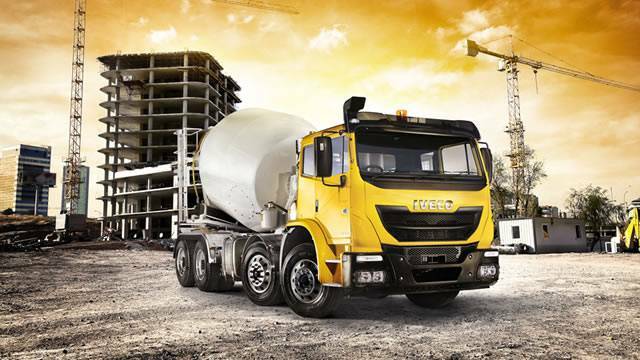 The tranmission fitted across the ACCO range is the 6-speed Allison full automatic transmission. 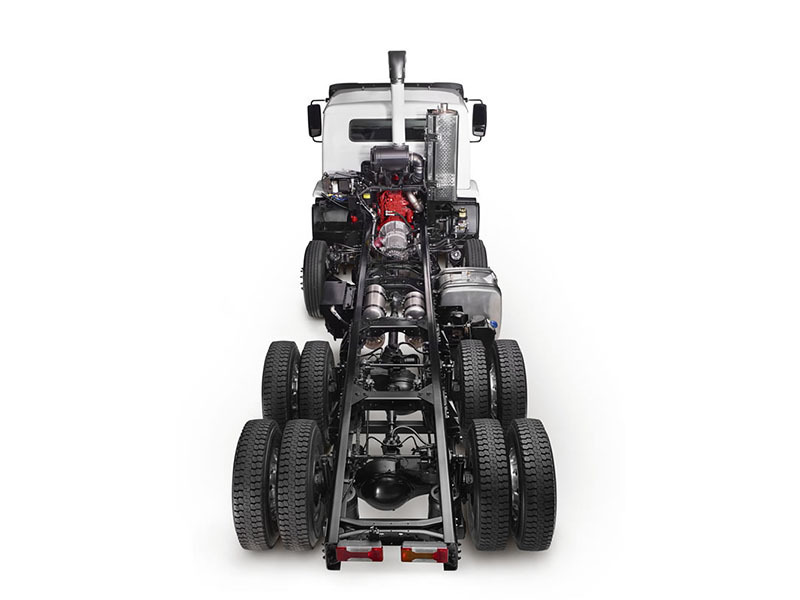 All ACCO Agitator and Compactor models also have a transmission mounted Power Take Off (PTO) fitted to allow for additional components to be powered by the engine. 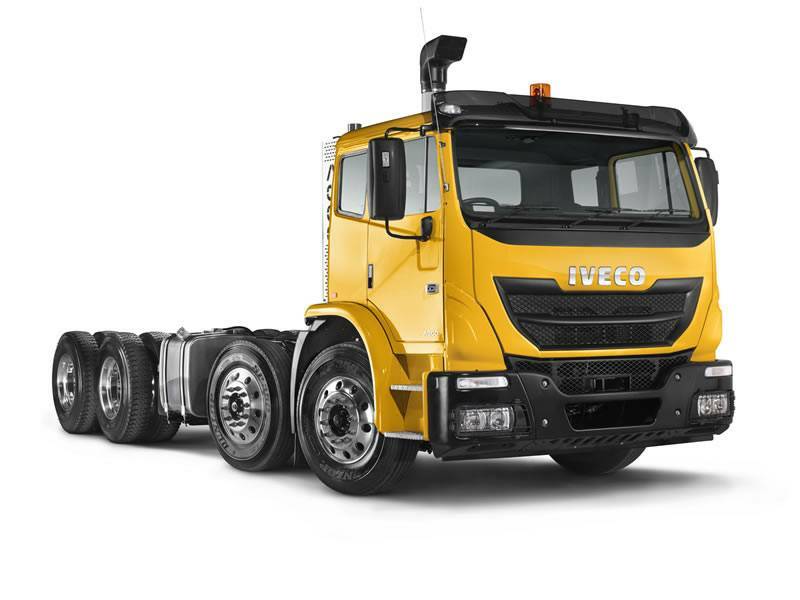 This allows the ACCO to be versatile and adaptable with a large number of bodies that can be fitted for use in a large range of applications. The full automatic is well suited to the stop and start nature of compactor and agitator work for which the ACCO is widely used. 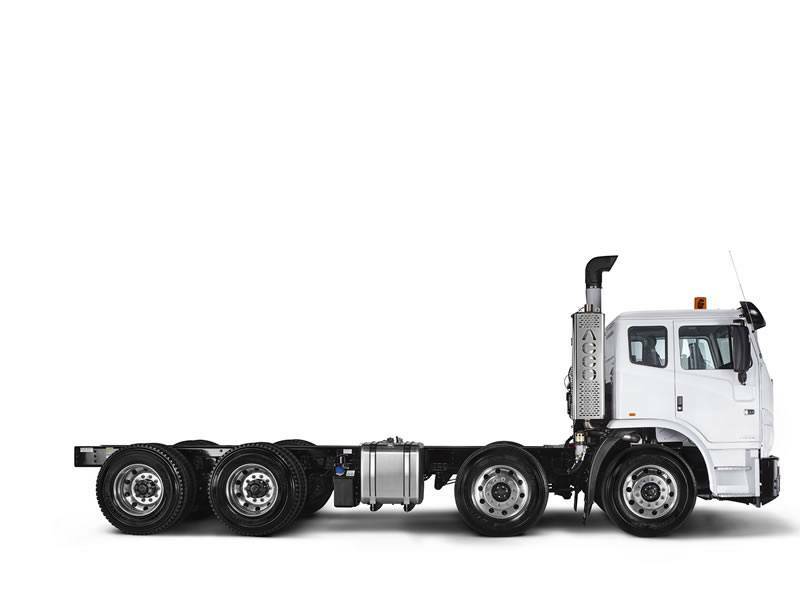 The ACCO offers a wide choice of Meritor rear axles, with ratings ranging from 10.4 tonnes capacity in the 4x2, to 18.1 tonnes in the 6x4 and 8x4. 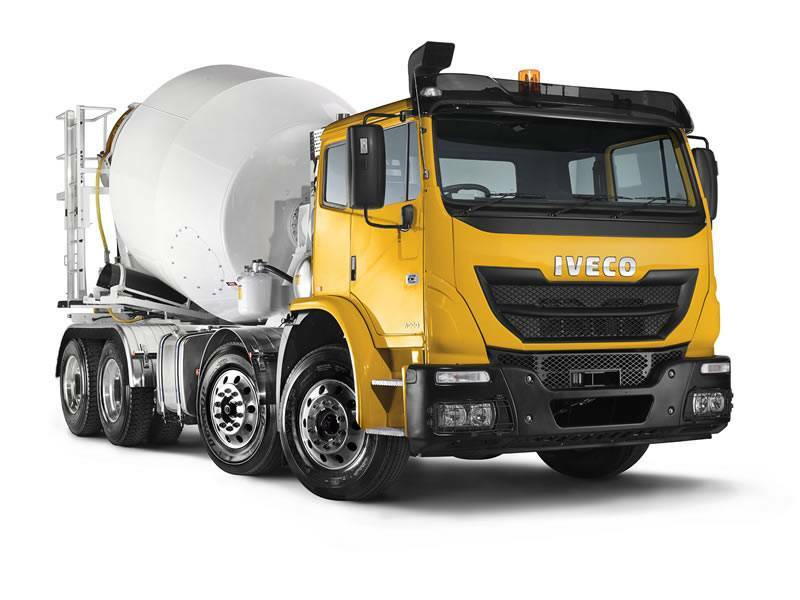 Where circumstances require, the ACCO offers optional driver-controlled differential locks for additional traction is slippery conditions. 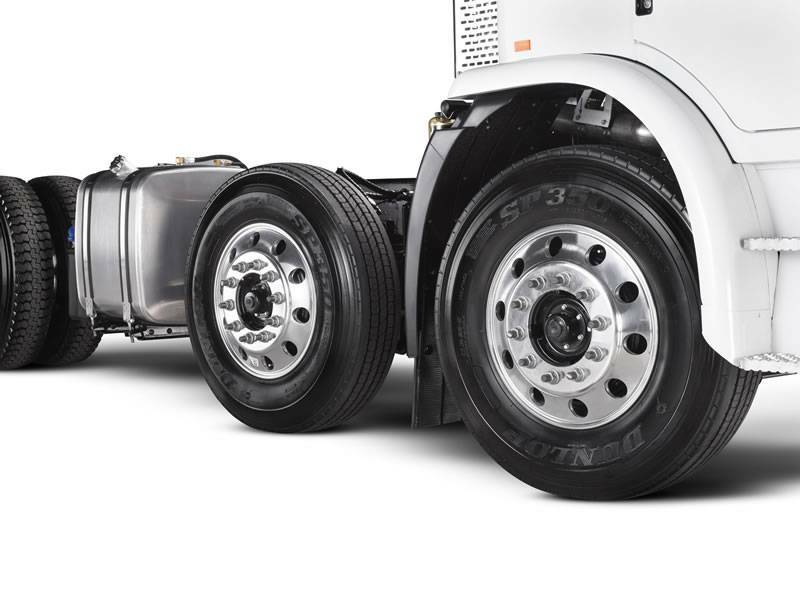 The ACCO braking system provides plenty of stopping power no matter what the application. 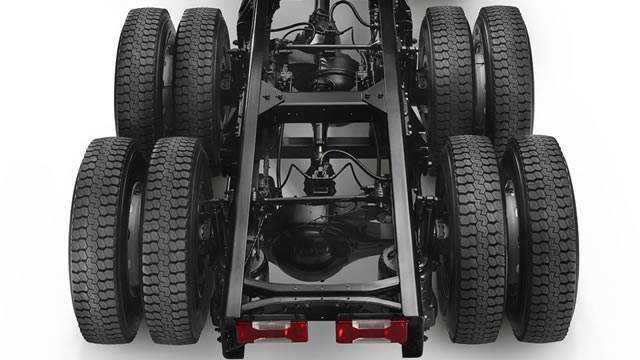 The dual air braking system uses Meritor Q-Plus 419mm drum brakes measuring 178mm wide at the rear, and 152mm at the front. 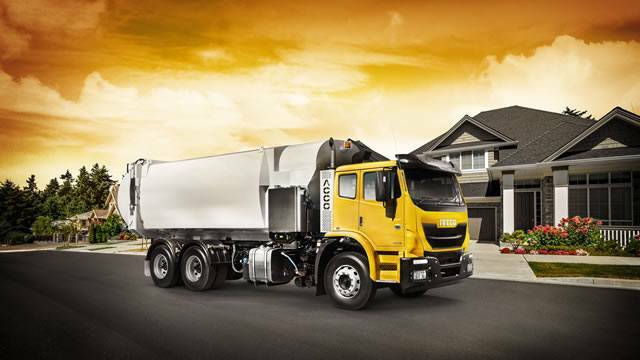 Auto slack adjusters are standard on Compactor models and ABS is standard across the range. Another standard feature is Active Traction Control ensuring traction is maintained on slippery surfaces. 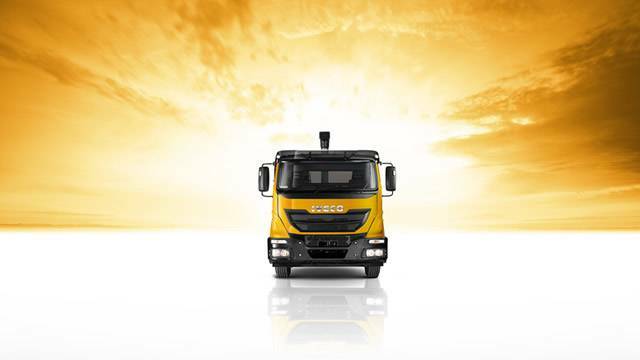 The ACCO cab has a long proven history. 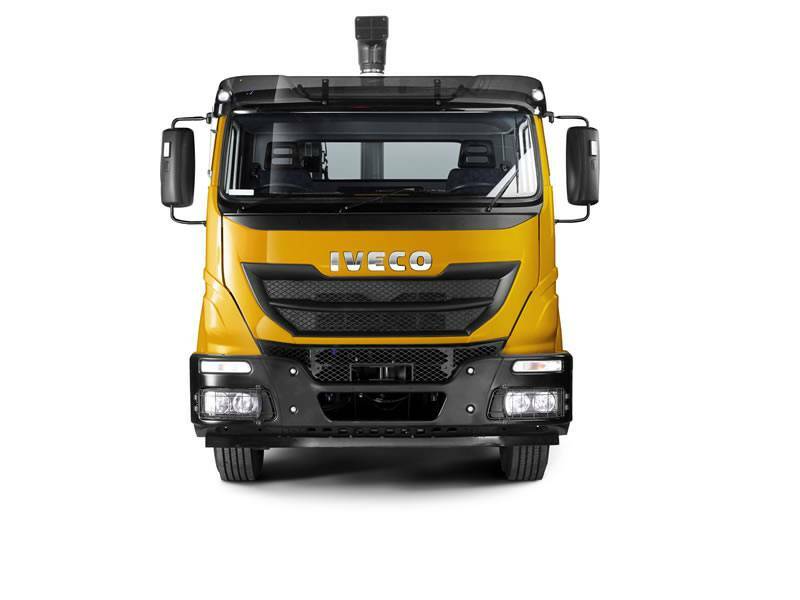 The 2.2 metre, walk-through ACCO cab is wide and spacious, and provides easy engine access via a hydraulic lift and latch. 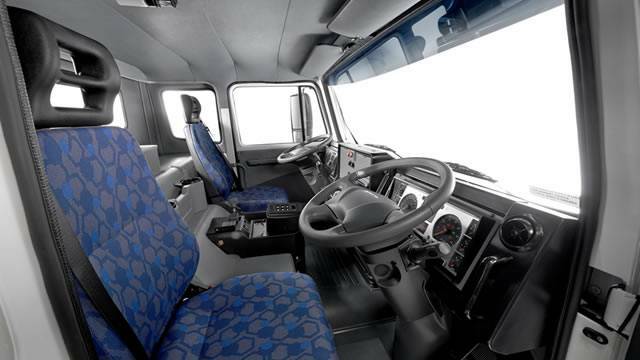 A four point mounting system with rubber isolation mounts at the front, and air springs with dampers at the rear, help isolate road shock, while further damping is provided by the standard ISRI suspension driver's seat. The driver's work is made easy by the standard power steering, cruise control and comprehensive instrumentation, while comfort is assured with air conditioning, power windows and a Radio/CD MP3 player with Bluetooth. 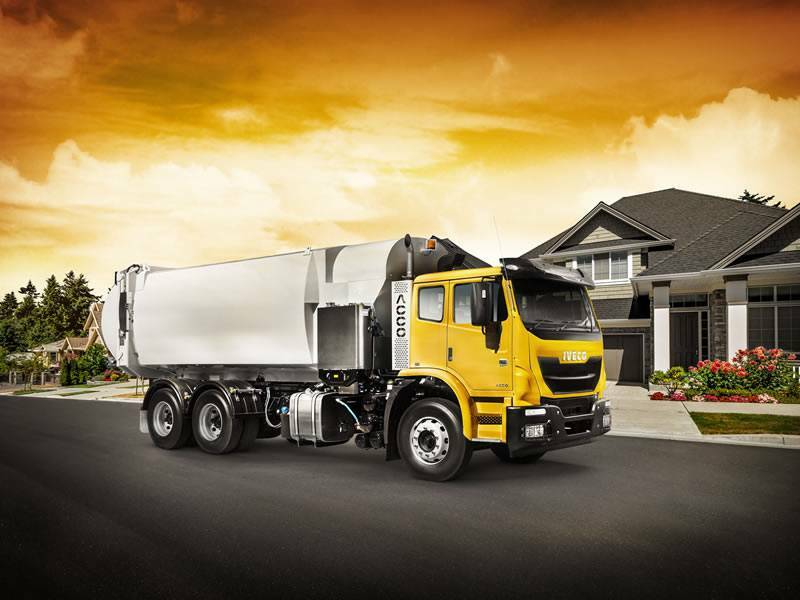 Its multi-purpose abilities enable factory fitted dual controls as required in many waste-collecting applications. Large, heated and motorised mirrors with separate convex sections on both sides ensure great visibility in the most congested urban applications. 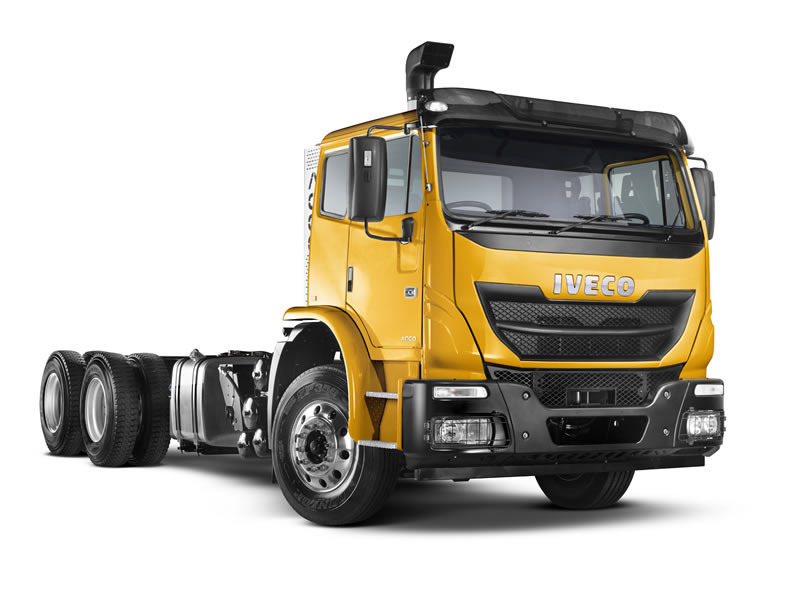 The ACCO offers heavy-duty cab trim with detachable floor mats, drain holes in the floor for easy cleaning, aluminium kick-panels on both doors and footrests on the passenger’s side. 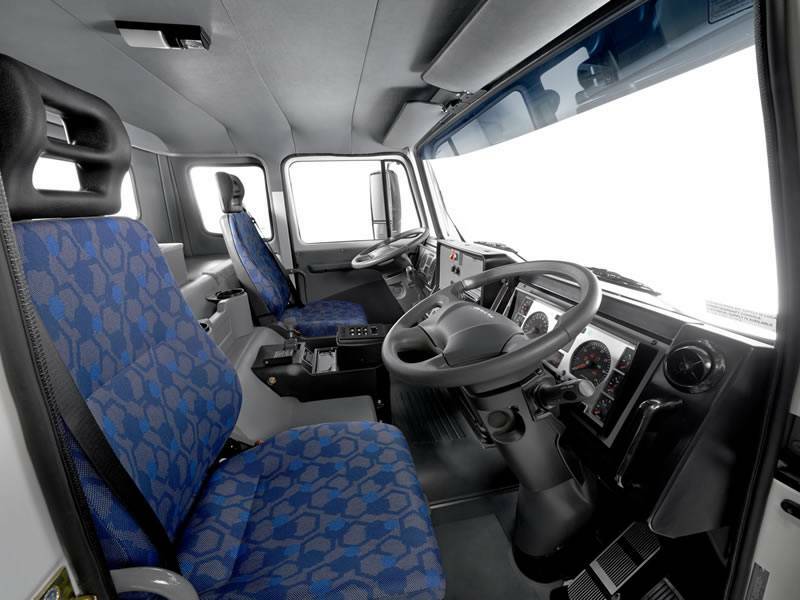 Access to the cab is via two large self-cleaning steps and wide opening door, with grab handles on either side of the doors for safe and effortless ingress and egress, to aid in meeting today’s stringent occupational health and safety requirements. 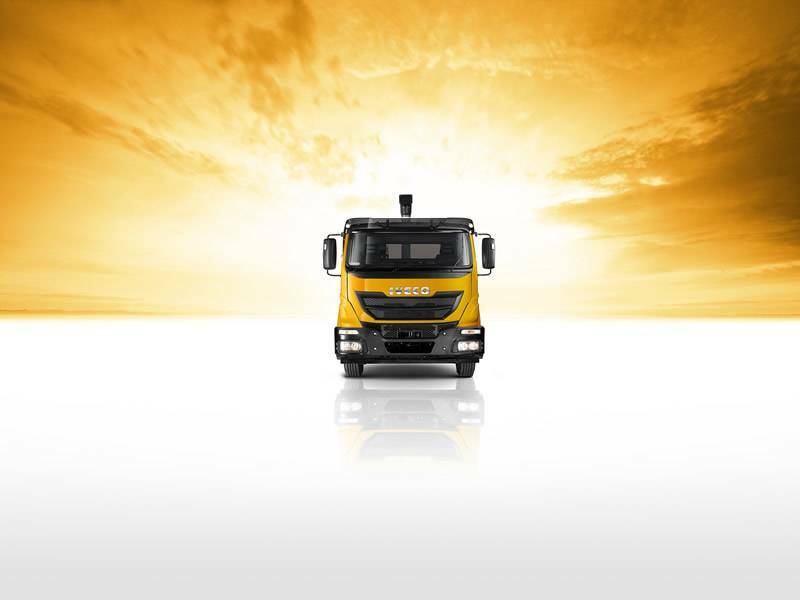 And because ACCO is a cab-forward design, manoeuvrability and visibility is excellent.